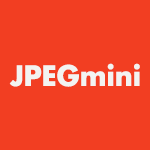 The JPEGmini Photo Server improves the performance of image-intensive web pages by optimizing JPEG images. Based on patent-pending media optimization technology, the JPEGmini Photo Server reduces the file size of your images by up to 5x (80% reduction), while keeping their original quality and standard JPEG format. Improving your page load time by image optimization leads to improved user experience and monetization, and also reduces your storage and bandwidth costs. Reduce the file size of your images by up to 5x while retaining their full resolution and quality. Save storage and bandwidth costs, and improve user experience and monetization. High-performance, cost-effective solution can optimize thousands of web images per minute.